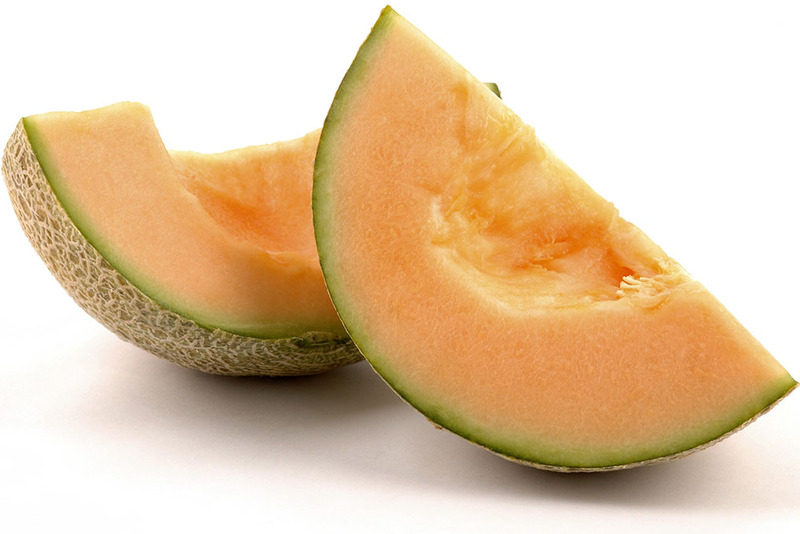 Enjoying cantaloupe in season « Healthy Foods In a SNAP! You can find local, Massachusetts grown cantaloupe in August and September. Look for sweet-smelling melons with no soft spots. Wash them before you cut them. And once they’re cut, keep them in the refrigerator for a quick, juicy treat! Did you know that one cup of fresh cantaloupe has all the Vitamin A and Vitamin C you need in a day, with only 60 delicious calories? Top a wedge with chicken salad for a light lunch, or with frozen yogurt for dessert. They are also great in smoothies and fruit kabobs!